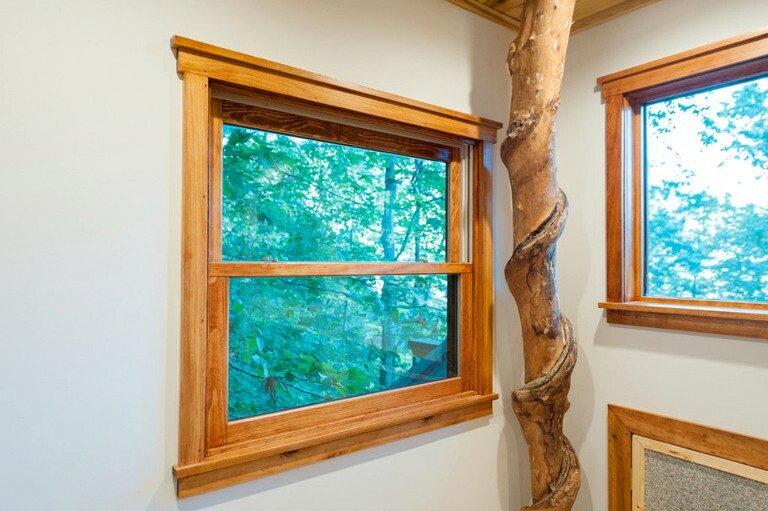 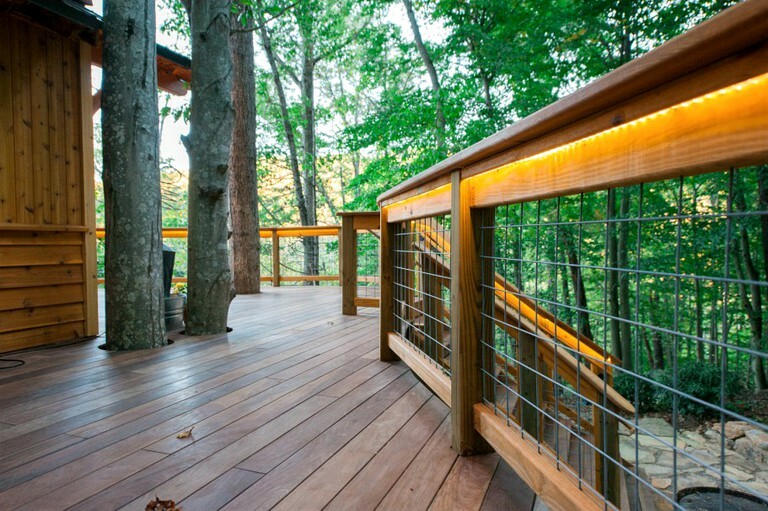 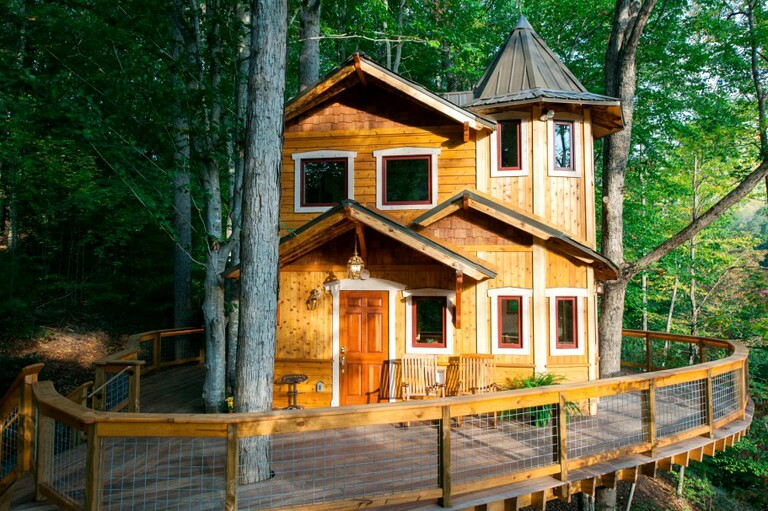 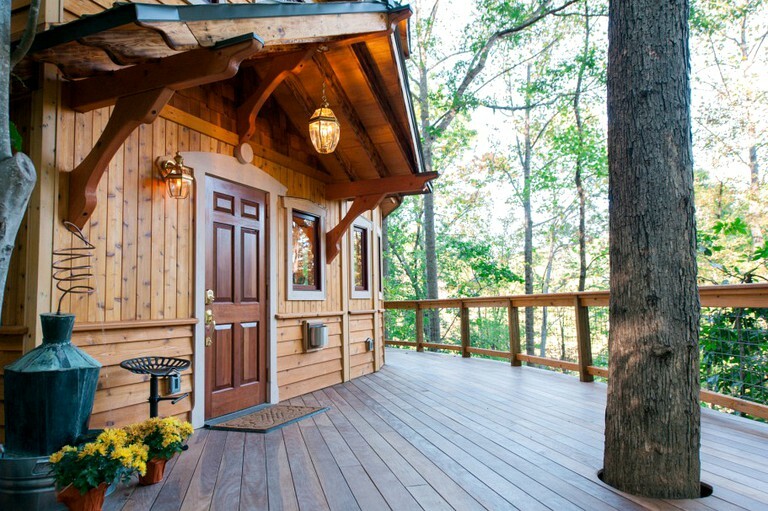 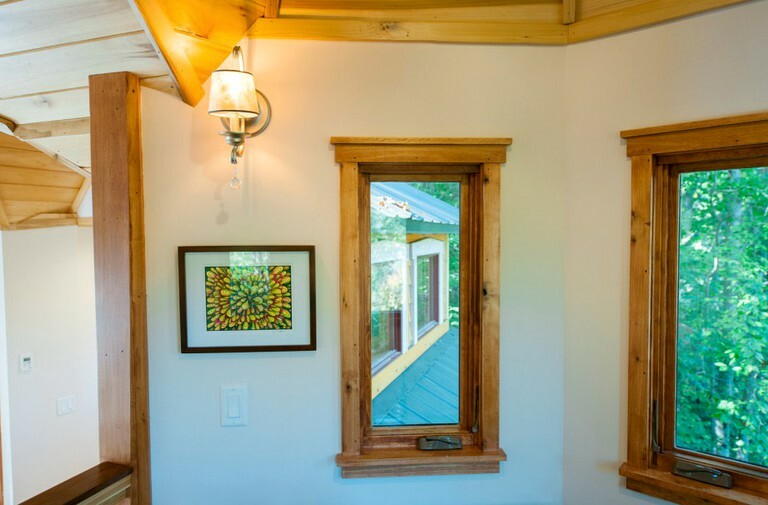 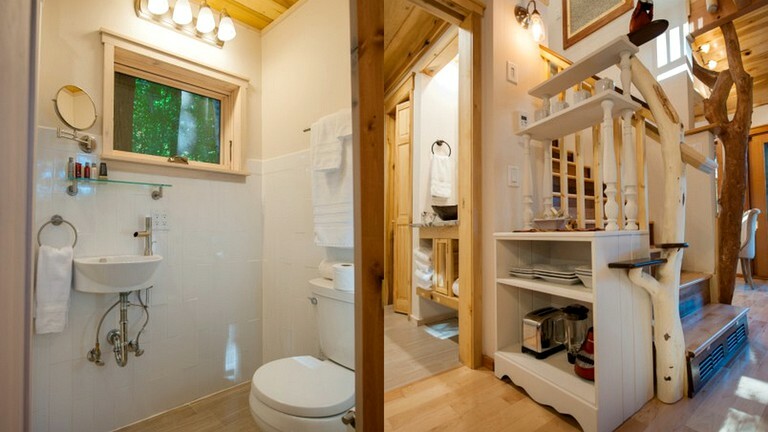 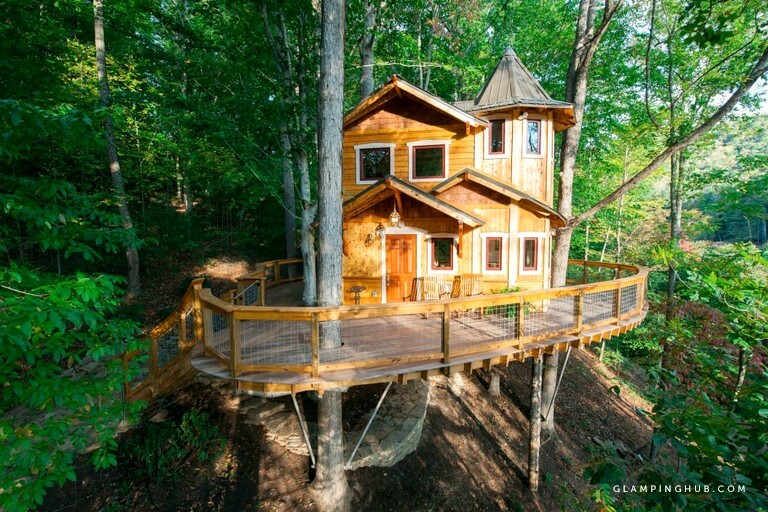 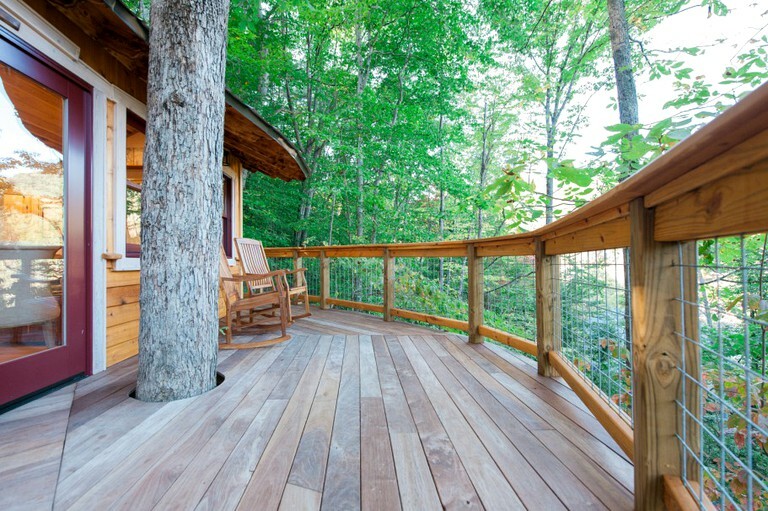 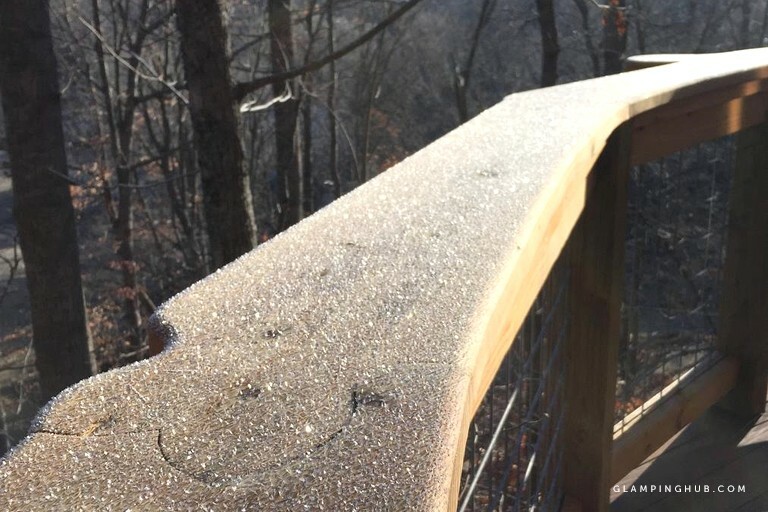 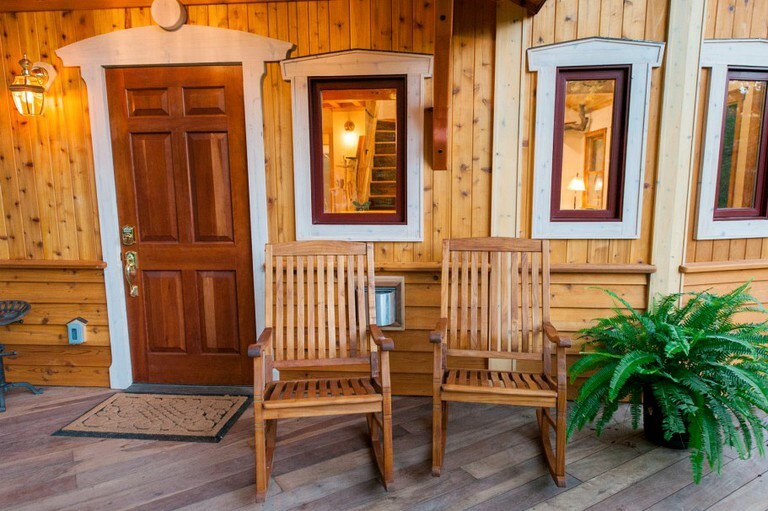 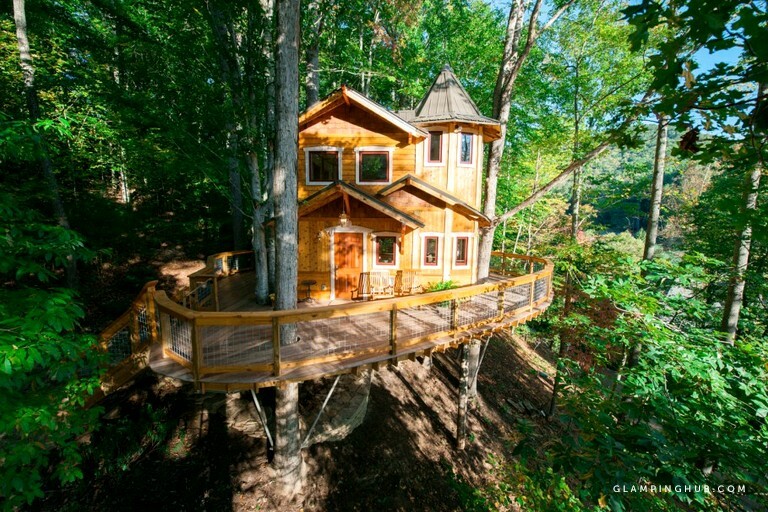 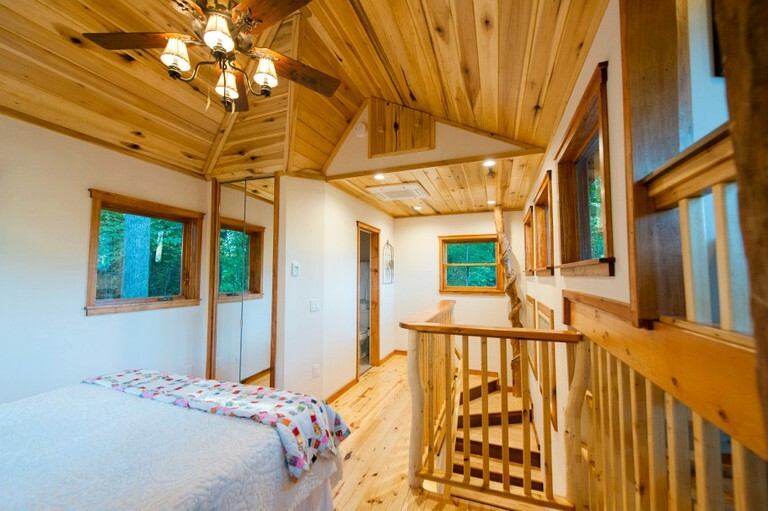 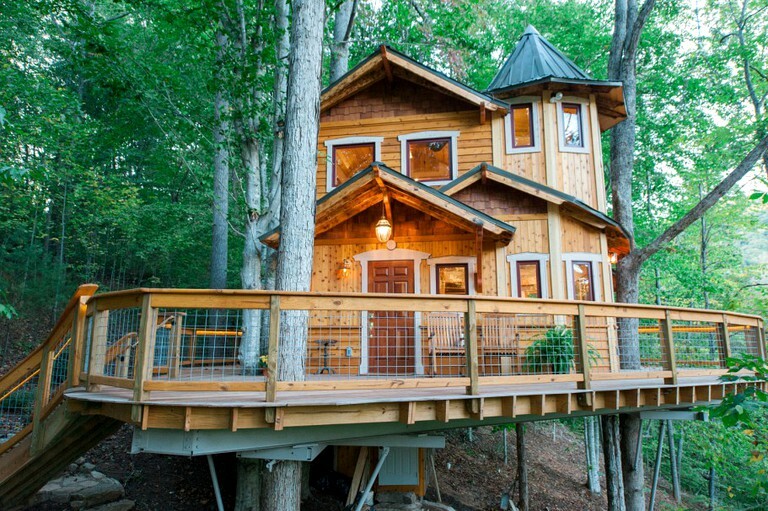 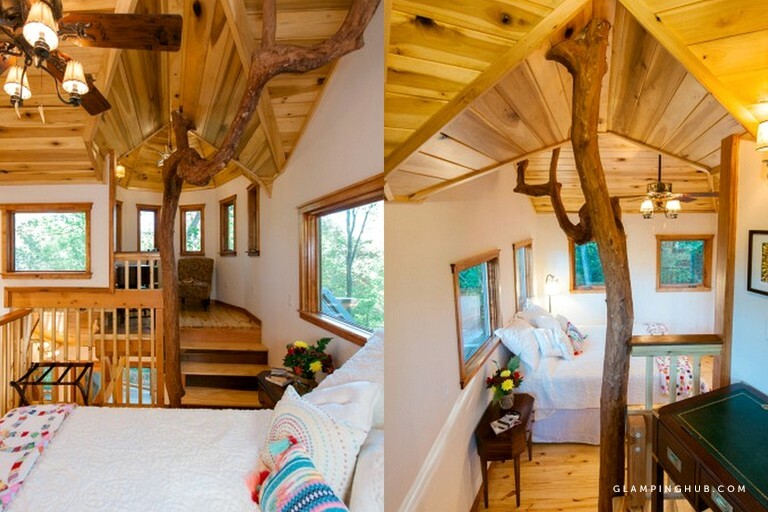 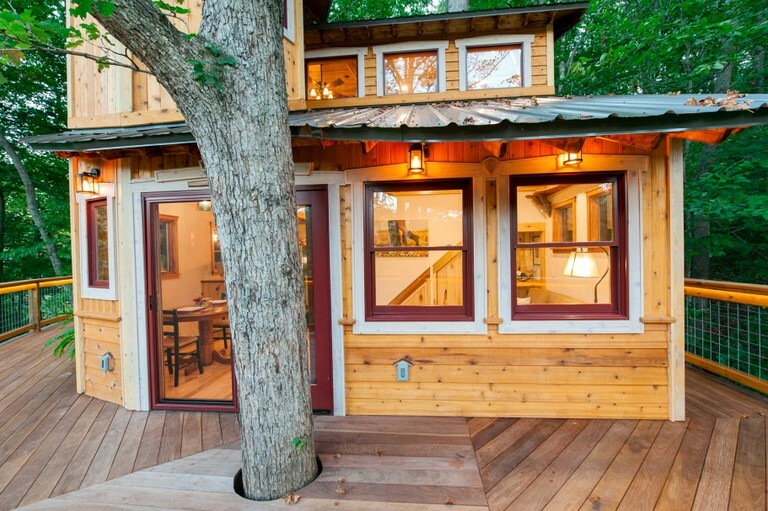 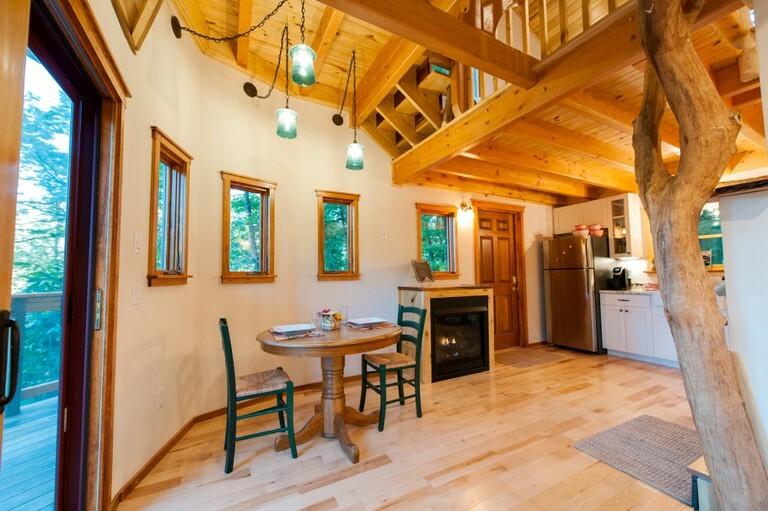 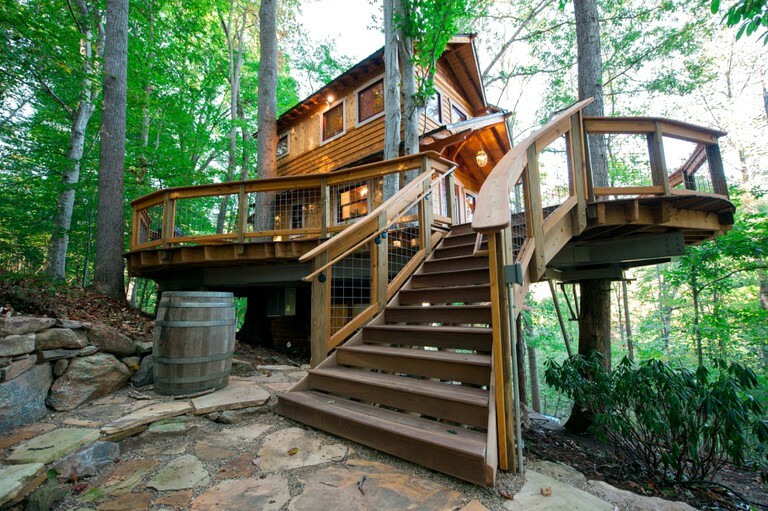 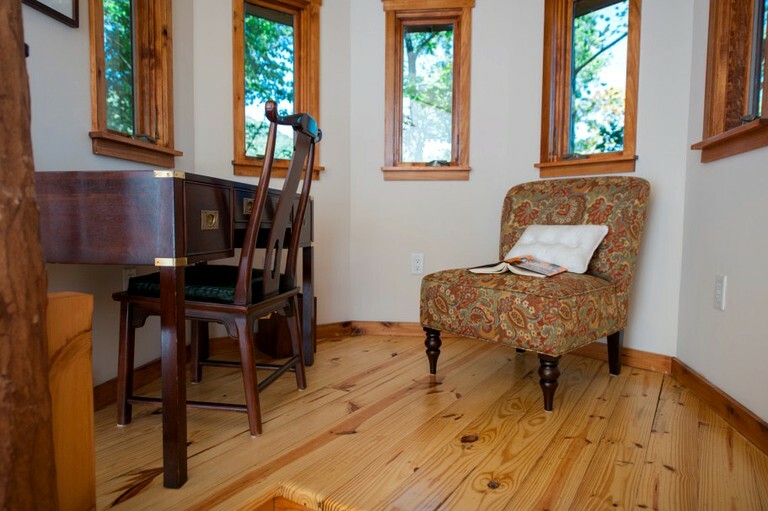 This exquisite tree house hotel can be found nestled among the trees in Asheville. 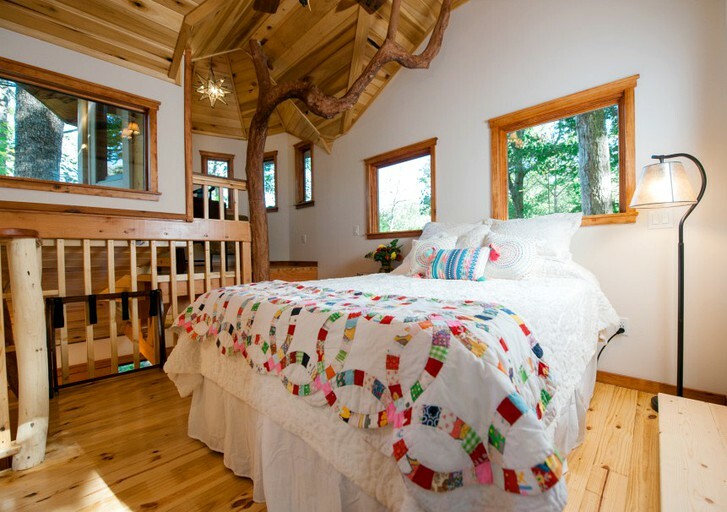 Up to four guests can be accommodated in total as there is a queen-size bed and a sofa bed. 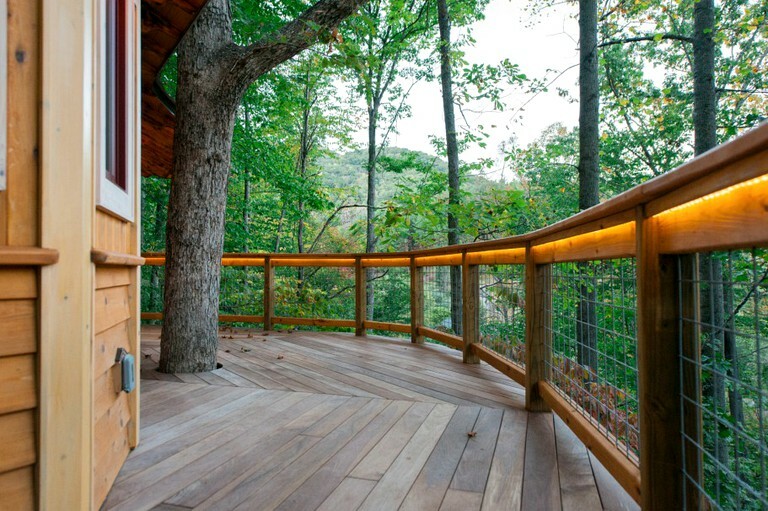 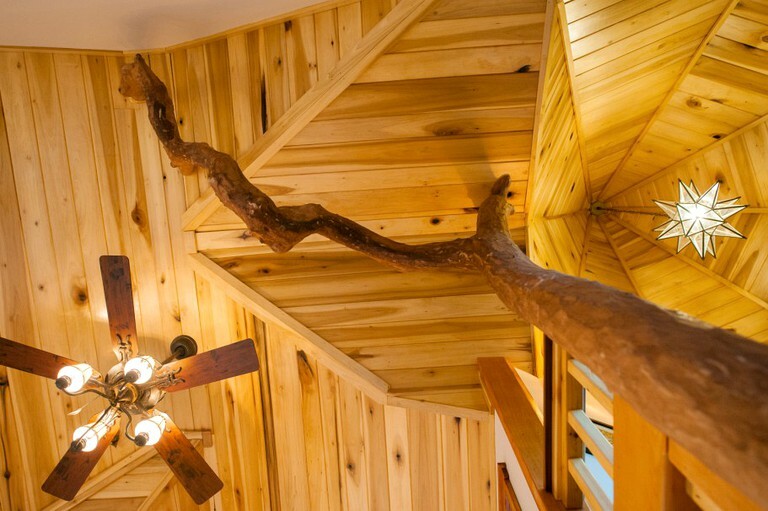 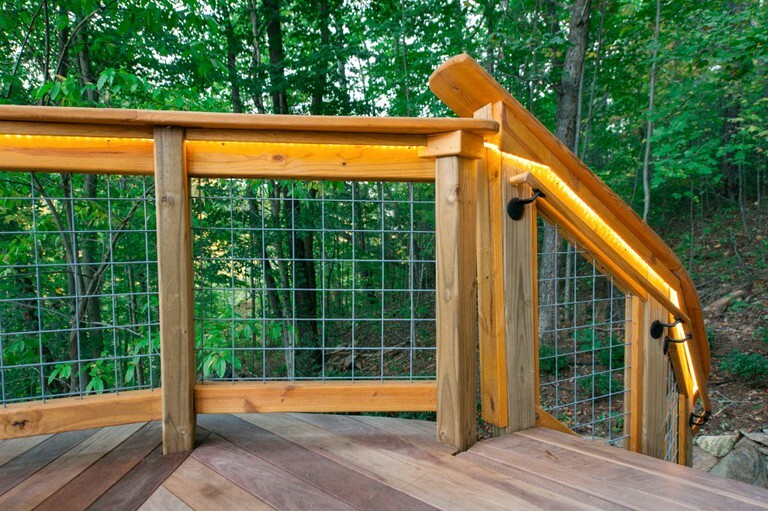 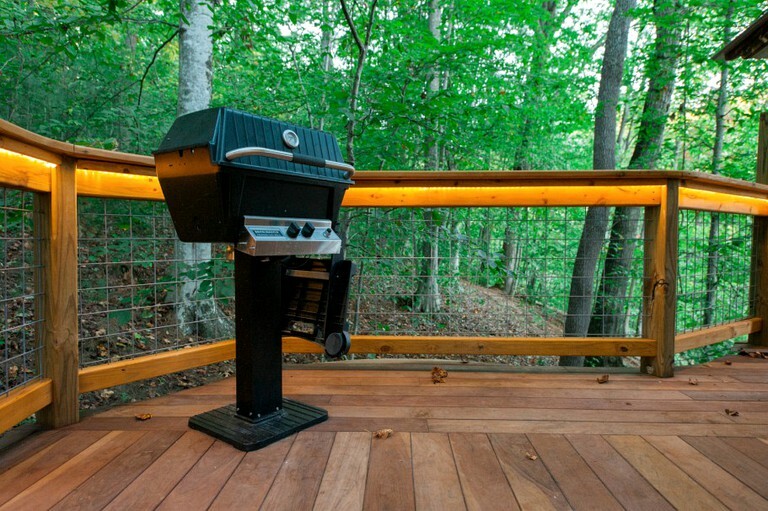 The tree house is built of quality materials and is truly a masterpiece of artistic design and skilled ability. 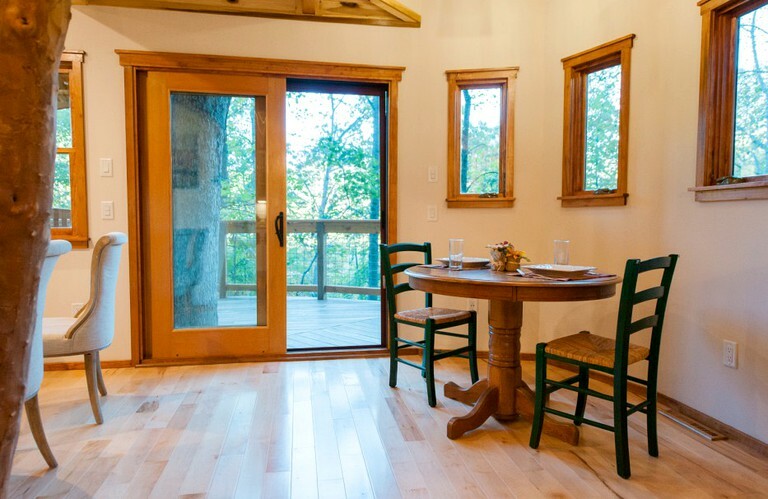 The large windows boast beautiful views of the beautiful natural surroundings. 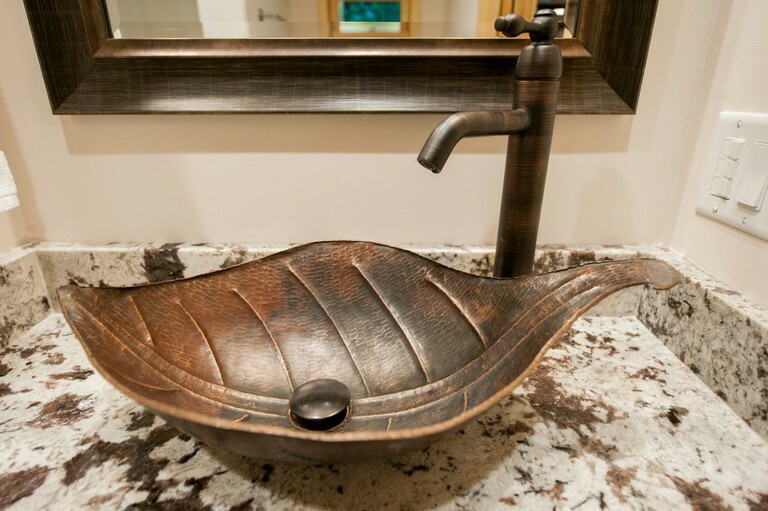 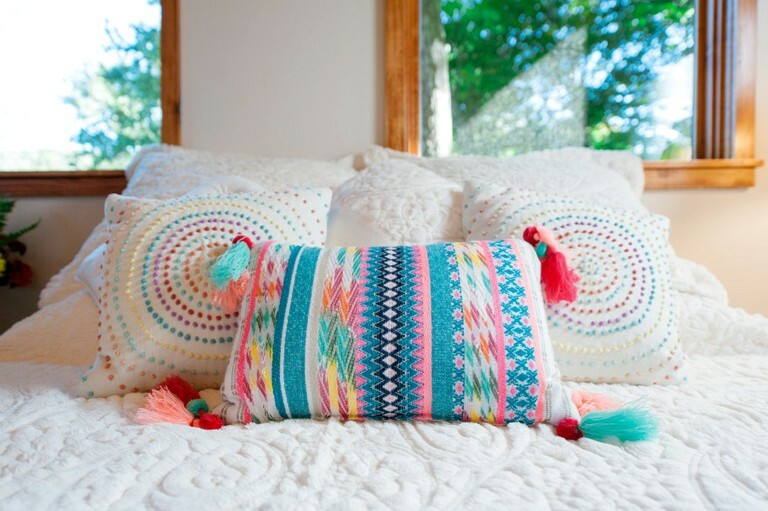 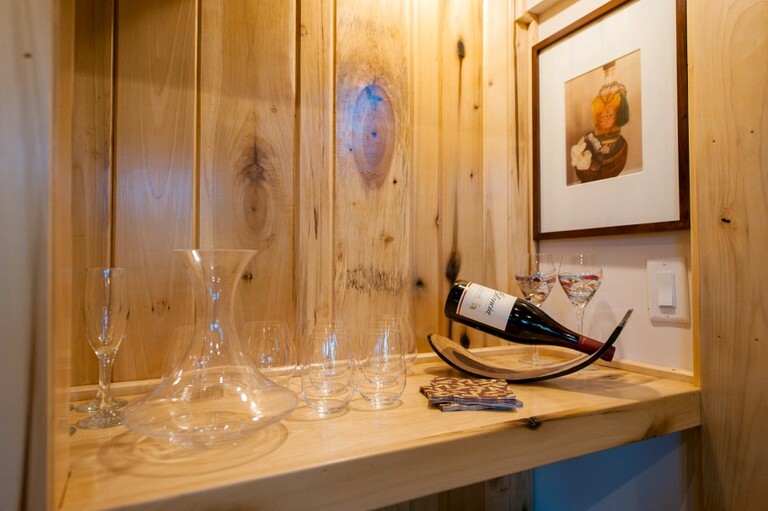 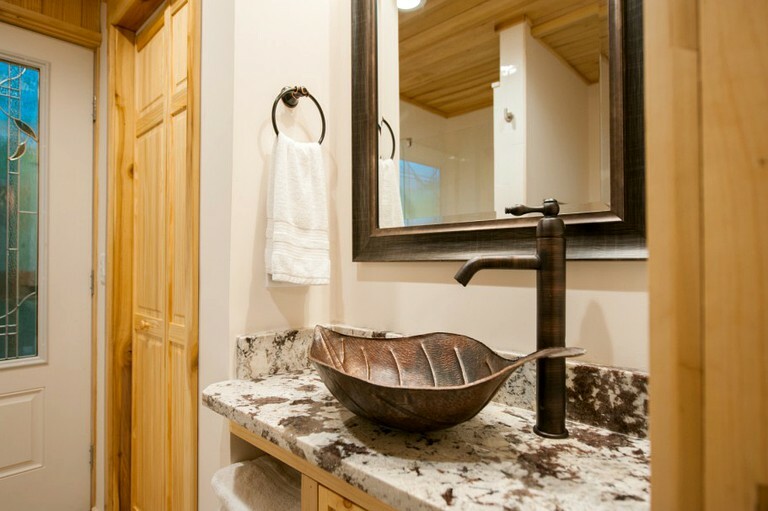 Guests will have access to everything they will need to relax in style during their stay. 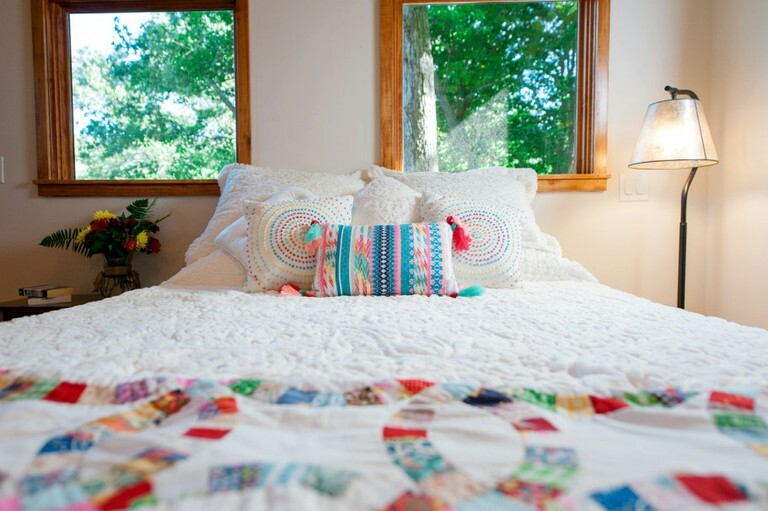 There is plenty of parking available and the host provides all linens and towels. 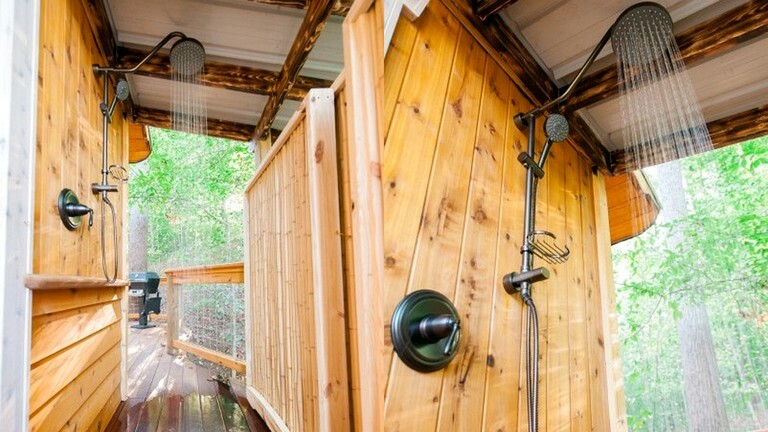 Guests really will be spoiled for choice on how to spend their days during their stay. 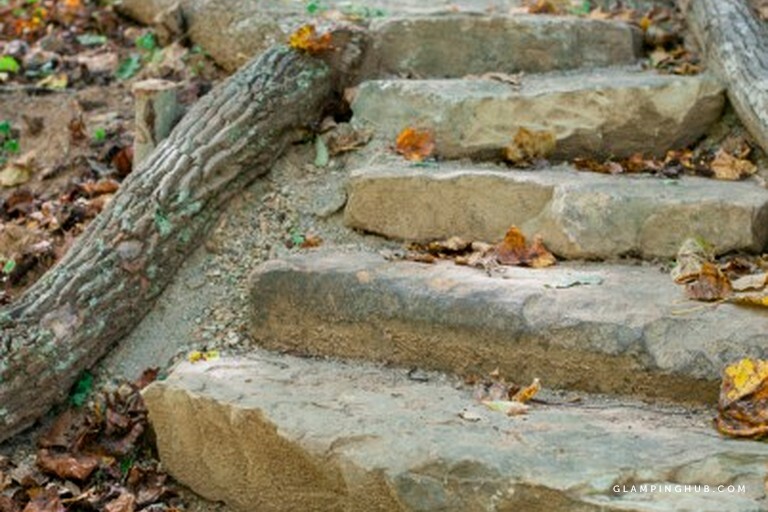 Hiking and cycling are the perfect ways to explore the beautiful natural surroundings found in the part of the world, and there are plenty of stunning picnic spots. 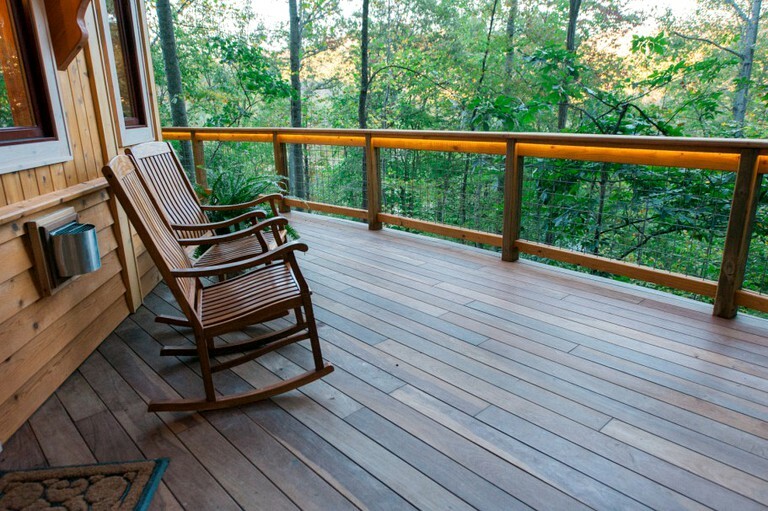 Asheville boasts a wide range of activities to suit all sorts of needs, whether guests fancy being active or simply exploring the shops and restaurants on offer. 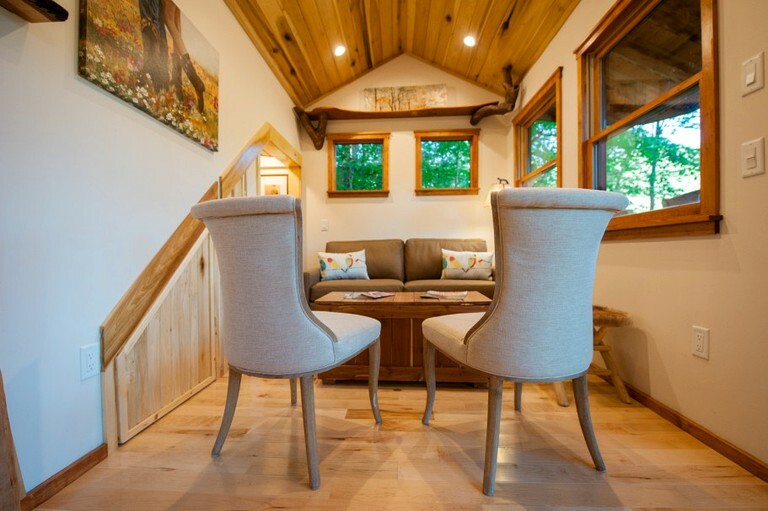 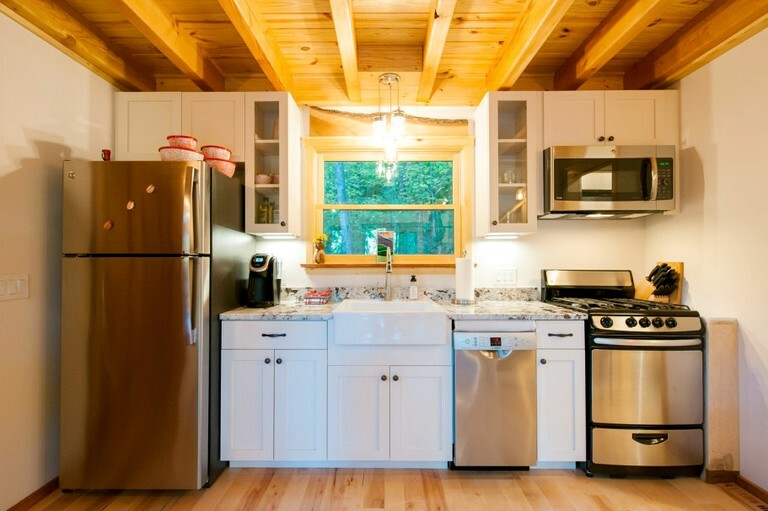 Glampers can go horseback riding, river rafting, gem mining, mountain biking, and skiing during their stay at this property.